Welcoming function of “Old Age Rendezvous” at Hotel Imphal by the Classic. 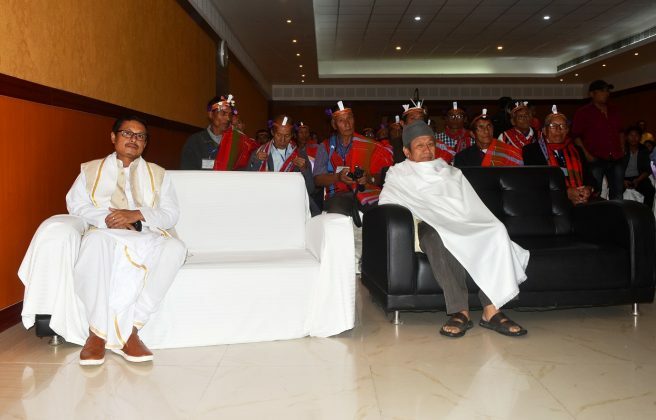 The function was graced by Titular King of Manipur, Leisemba Sanajaoba. Gift’s were exchange with the 33 old age people from Sangshak , Titular King of Manipur, Leisemba Sanajaoba and the organiser. 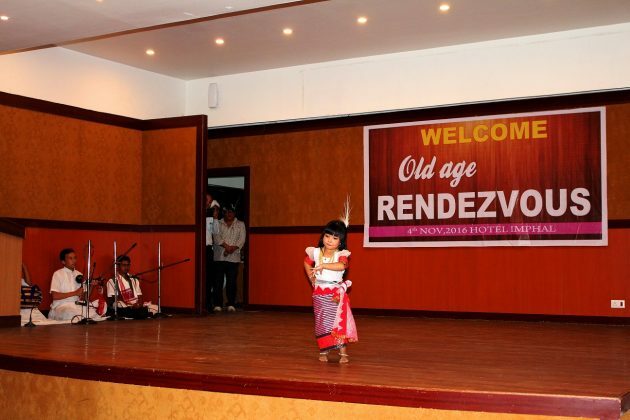 With a motto to create, bring peace, love and harmony among the ethnic communities of Manipur, a group of like-minded people have taken the initiative to organize a tour programme named as “Old Age Rendezvous” on November 4 and 5 of 2016. 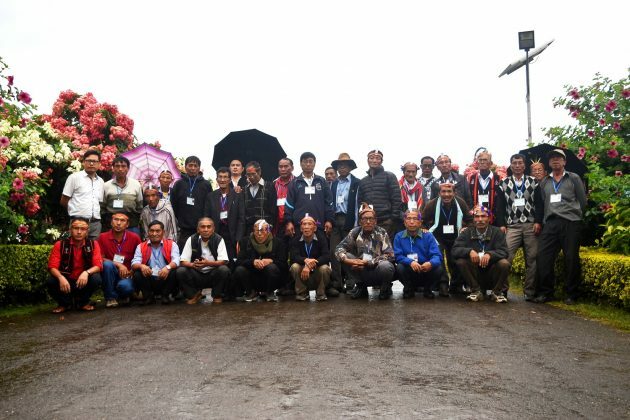 Around 33 (60-84 year of age) people from far flung villages of hill areas in the state, who have never visited other parts of Manipur except their locality, were taken for a tour covering tourist and historical places situated in and around Imphal city, Kakching, India Peace Memorial Red Hill, Moirang INA Complex, Sendra, Kangla fort and palace of the King of Manipur. 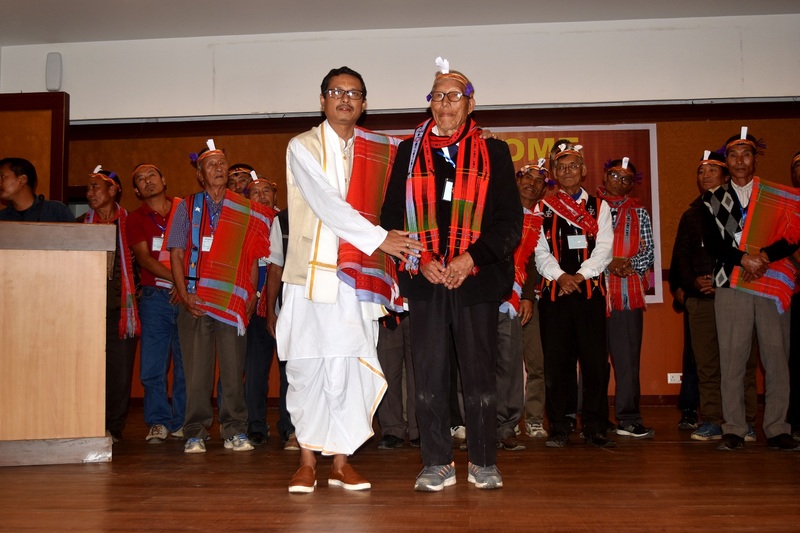 “Old Age Rendezvous”: Gift’s exchange with the 33 old age people from Sangshak and Titular King of Manipur, Leisemba Sanajaoba and the organiser. 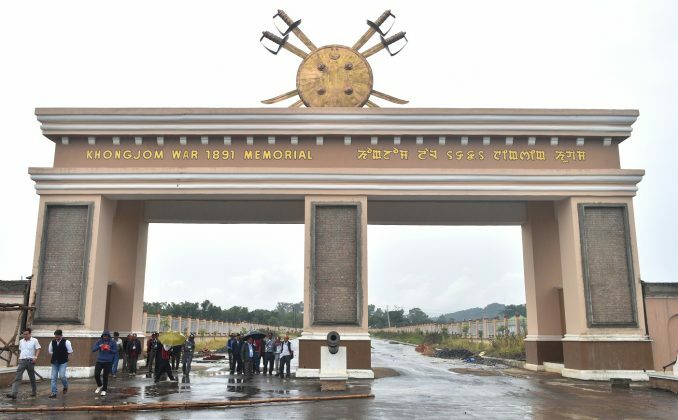 Many of them visited Imphal for the first time in their lives. 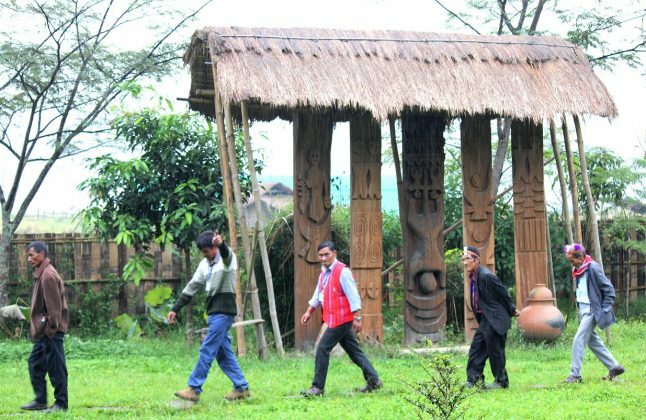 The elders have hardly visited these locations in their lifetime while some had visited some 30 years back. 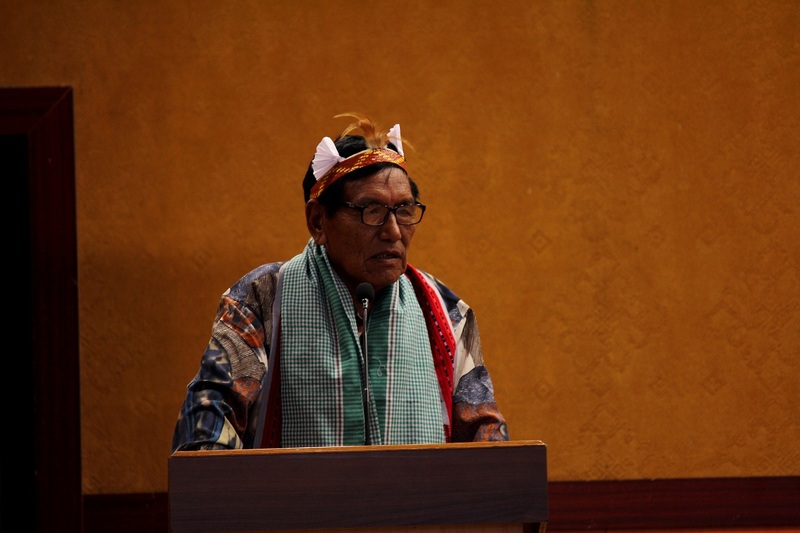 While encouraging the organizer for hosting the tour, the titular king of Manipur, Leishemba Sanajoaba said that it will strengthen the bond of brotherhood amongst the people of Manipur and he added that ethnic communities of the state are from a single family; there is no difference between the hills and valley peoples in culture as well as living style. The most heartfelt disappointment is that even if the state is small, many of our elders from hills and valley areas have not been able to visit historical places of the state due to prevalence of unfavourable political atmosphere. “Politics divide each one of us and we have seen the results of it. It is not too late to unite as one, like our forefathers did, who have lived with peace and love. Money cannot buy the peace and loving relations but only getting together as one can create a peaceful and loving society,” the king said. "Old Age Rendezvous": Gift's were exchange with the 33 old age people from Sangshak and Titular King of Manipur, Leisemba Sanajaoba and the organiser. Gift's were exchange with the 33 old age people from Sangshak and Titular King of Manipur, Leisemba Sanajaoba and the organiser. Khamba Thoibi Dance by Manipur Performing Arts. 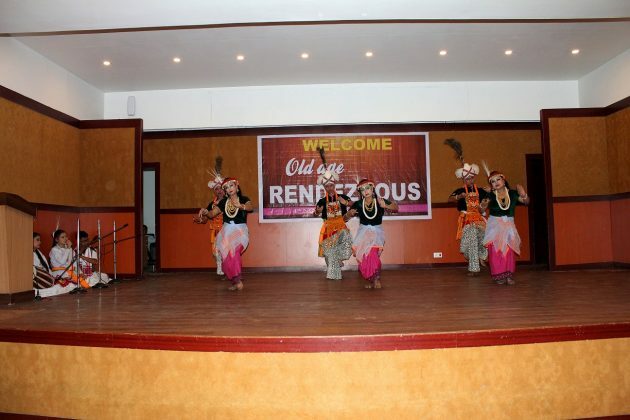 Welcoming function of "Old Age Rendezvous" at Hotel Imphal by the Classic. 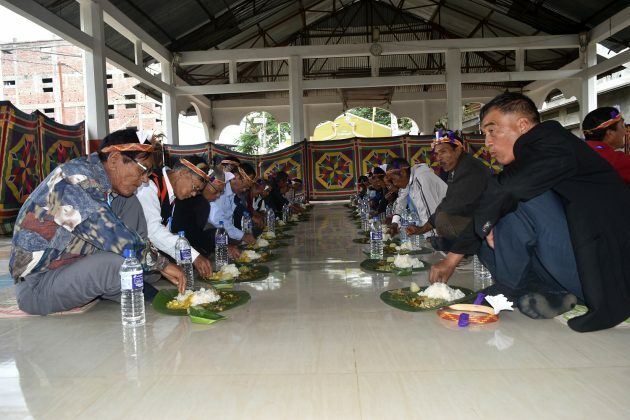 The function was grace by Titular King of Manipur, Leisemba Sanajaoba. 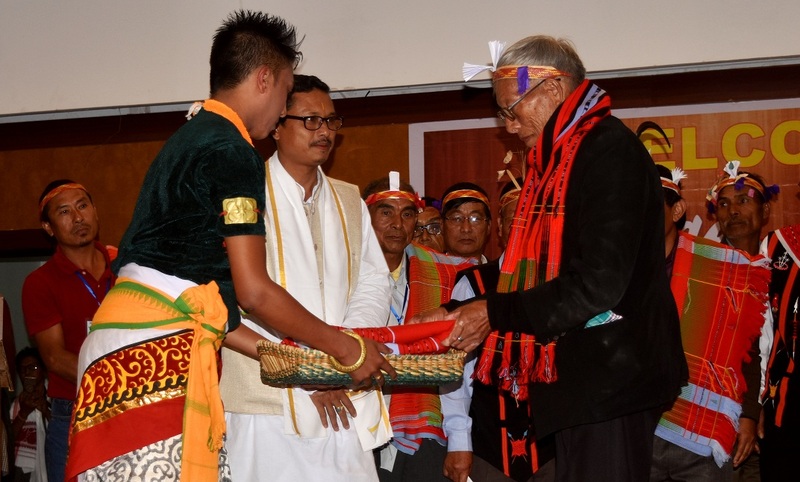 Gift's were exchange with the 33 old age people from Sangshak and Titular King of Manipur, Leisemba Sanajaoba and the organiser. 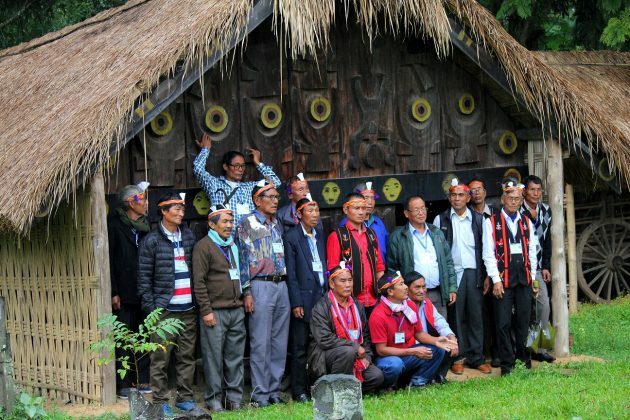 The elders from Sangshak Village, Ukhrul District, narrated that it was an opportunity of a life time. They are not sure whether they will visit the locations again or not. 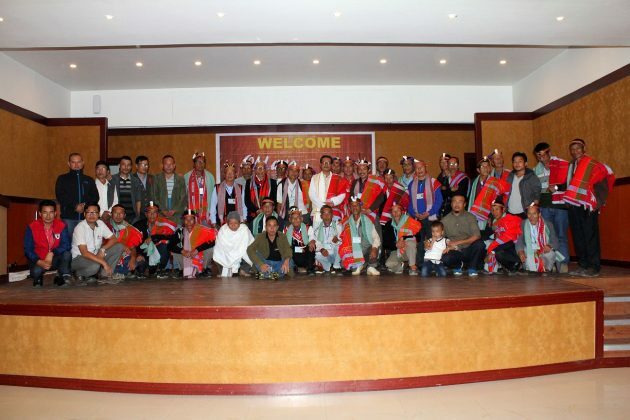 In making the occasion successful, some individuals namely Longjam Joshep, Dr Nelson, RK Nepolean, Longjam Joshep, Deepak Ningthouja, Rajeshwor Yumnam, Sapam Shyamananda and media groups like Kangla Online, Manipur Times extended financial help and sponsored gifts for the elders. 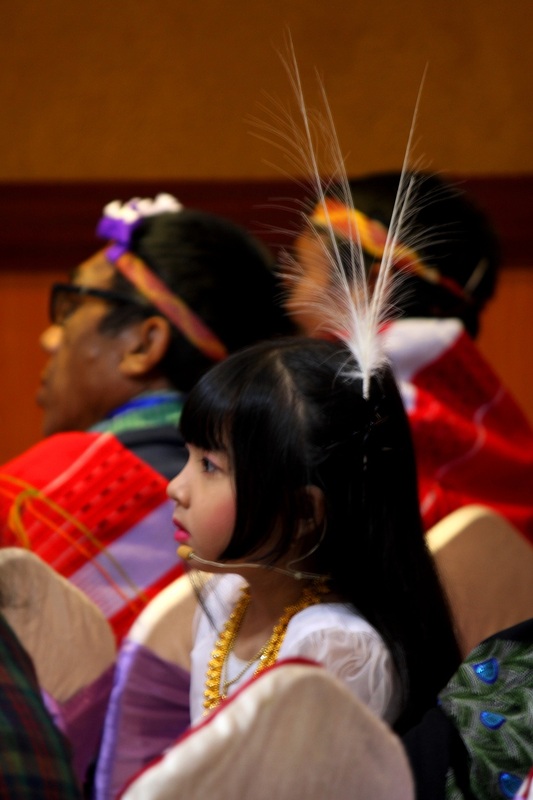 While a team of cultural troupe from Laihui performed its upcoming folk song without any charges. Online media KanglaOnline (www.kanglaonline.com) extended full support by covering the entire tour programme. 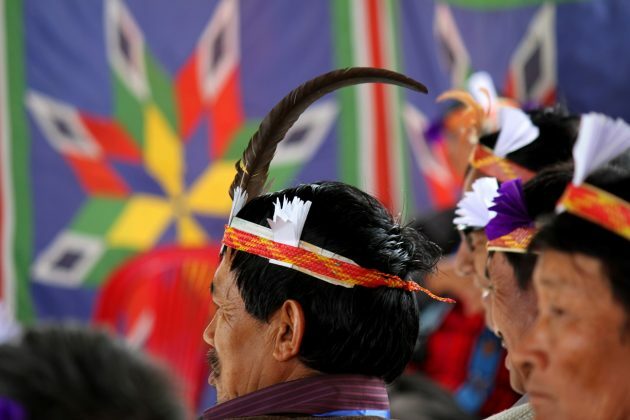 Before heading off to their village, the elders met with our titular king and queen of Manipur and shared their stories.